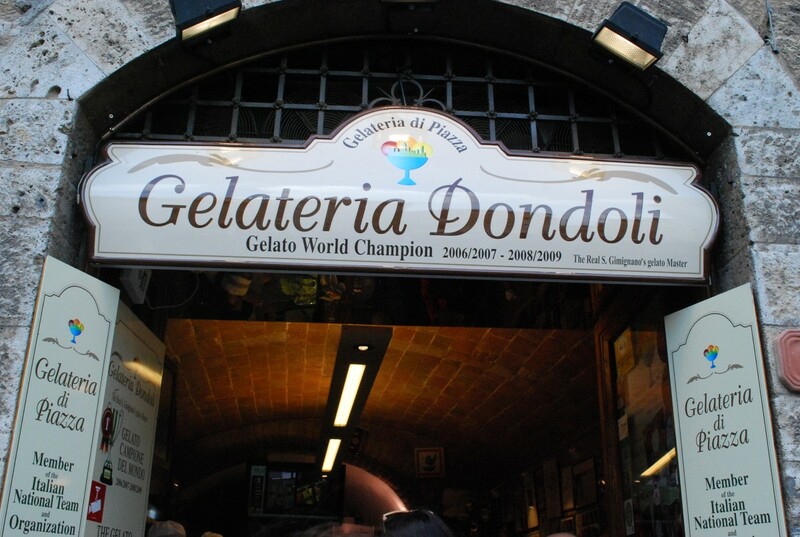 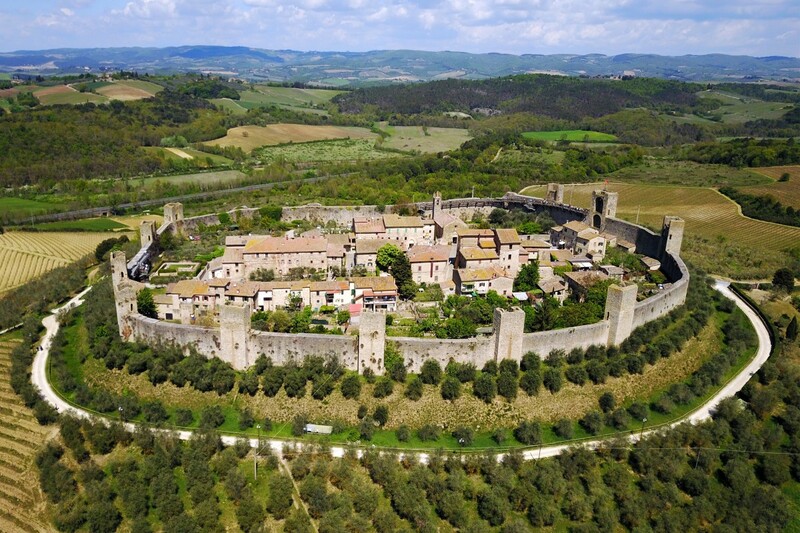 Siena is Italy’s most perfect medieval town. 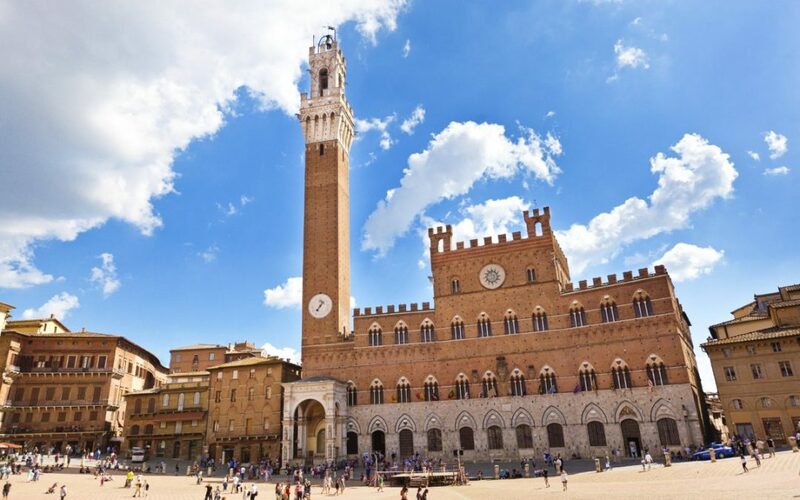 Its heart lies in the Campo, Italy’s most glorious square and the stage for the city’s renowned annual horse-race – THE PALIO – as well as the art filled chambers of majestic Palazzo Pubblico, while all around a magical labyrinth of palace-lined streets and peaceful corners provide a “happy hunting “ ground of aimless exploration. 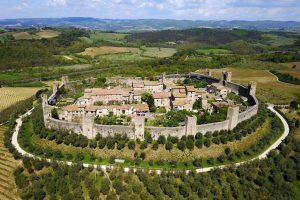 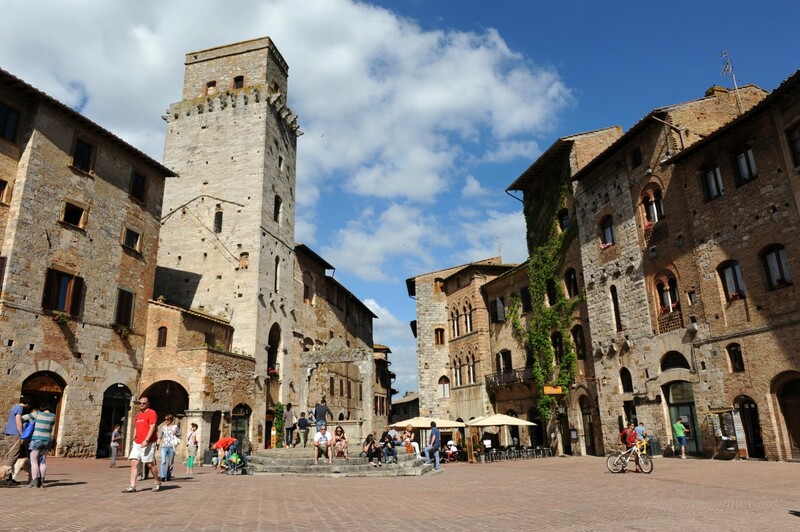 San Gimignano, Tuscany’s most famous village is often called a “medieval Manhattan” after a skyline that bristles with crop of ancient towers, it is worth a visit not only for its towers but also for fascinating art galleries, beautiful view of Tuscan landscape.